New Year's Eve celebrations, attended by a strong 75,000 crowd, made Valletta a hive of activity. 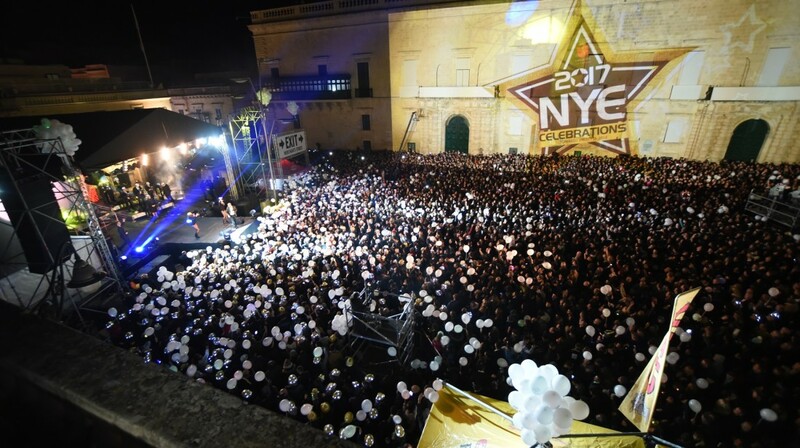 A crowd of 75,000 people came together for the New Year’s Eve celebrations organised by the Valletta 2018 Foundation. The celebrations, which were completely free of charge, made Valletta a hive of activity. Participating artists included local and international acts. As was the case in past years, MCAST students were responsible for Digital Projections which welcomed the New Year. These activities give a small taste of the hard work being led by the Valletta 2018 Foundation as we are 12 months before Valletta hosts the title of European Capital of Culture. The celebrations were a result of the great synergy between several government entities from the cultural and tourism sectors, as well as others from the private industry. In a statement, the Ministry for Justice, Culture and Local Government thanked the public, the police as well as all those who contributed to the joint effort for the celebrations to be successful once again.